Almost all Canadian leaders who visit India, visit Punjab. Punjab usually figures prominently in their itinerary because of the huge number of Punjabis (Sikhs) settled there. And, because of that, Punjab has a strong relationship with Canada and its leaders. How do you view the forthcoming visit of Prime Minister Justin Trudeau to India? Trudeau is a fine human being, and I have no problems in meeting him or welcoming him to Punjab.... His visit, I am confident, will give a further boost to the business ties that Punjab shares with Canada, mainly on account of the Sikh presence in that country, including those in his cabinet. Last year, you ignored the visit of their defence minister, saying he was a Khalistan sympathiser, and said there were others like him in the Trudeau cabinet. Will you raise this issue when you meet him? I do not have any information, yet, on any meeting with Trudeau during his visit. 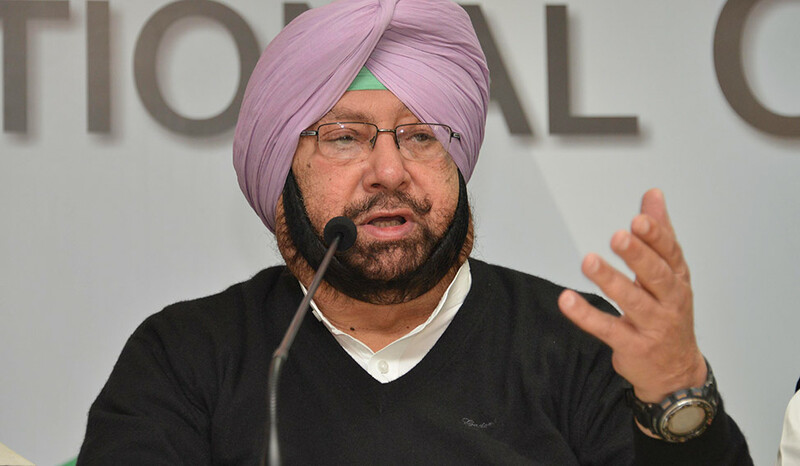 The agenda for any such meeting will be finalised only after his itinerary is received by us.... Of course, if an opportunity arises, I will reiterate my request seeking his intervention to ensure that pro-Khalistani elements are not allowed to use Canadian soil to instigate anti-Punjab campaigns. Lobbies in Canada stalled your visit in 2016, citing laws that do not permit campaign meetings by foreign nationals. Do you plan to visit Canada anytime soon? I do not have any plans to travel out of India on any official visit in the near future. My hands are tied at the moment with putting the state back in order, and bringing it out of the mess which we have inherited from the previous government.